Keep your convertible in tip top shape with 303 Vinyl Convertible Top Kit! The 303 Convertible Top Cleaner and the 303 Aerospace Protectant are everything you need to keep your convertible top looking like new. You’ve no doubt seen what can happen to a neglected vinyl topover time: drying, cracking and fading. Even if your vehicle lasts forever, your vinyl convertible top might not if you don’t take care of it. That’s why we offer both the 303 Convertible Top Cleaner and the 303 Aerospace Protectant together in the 303 Vinyl Convertible Top Kit. In just two steps, you can remove oil, grease, and dirt from your top and provide the best protection available for vinyl. 303 Convertible Top Cleaner utilizes a unique "colloidal" action to lift and suspend oil, grease, and dirt so that it easily wipes away. This same colloidal action was found to break up oil slicks on the ocean. It contains no soaps or detergents that can dry or leave a residue. Also, the environmentally safe formula contains no toxic organics, phosphates, nitrates or caustics to irritate your skin or run off into your yard. All 303 cleaners are safe, non-toxic and 99% biodegradable. While 303 Convertible Top Cleaner is safe to use, you can be sure it’s effective because it bares the 303 name. 303 is unparalleled in the auto care industry for cleaning and preserving vinyl. You can also use 303 Convertible Top Cleaner on walls, kitchen appliances, carpets, motors, light fixtures, countertops, and bathroom fixtures – anything water-safe. Follow the cleaner with 303 Aerospace Protectant to prolong the life of your vinyl top. There is no better product on the market at protecting vinyl from the sun, water, soil, and stains. 303 Aerospace Protectant’s UV screening technology is like SPF 40 sunscreen all over your vinyl top. It blocks out the sun’s harmful rays to prevent fading, hardening, and cracking. Dirt, oil, and grease are repelled to keep your top cleaner longer. And 303 Aerospace Protectant gives your top a deep, luxurious shine without a greasy or oily feeling. 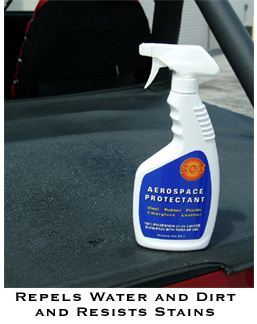 You can also use your 303 Aerospace Protectant on plastic, rubber, finished leather, and fiberglass. Just spray it on and wipe completely dry. 303 Aerospace Protectant is recommended by leading manufacturers of vinyl tops and accessories to keep their products in like-new condition. Absolutely nothing works better to beautify and protect vinyl. The two products found in the 303 Vinyl Convertible Top Kit are versatile, easy to use, and effective. Your vinyl top requires care to keep it looking new. With this kit, you can achieve amazing results and still have time to enjoy your convertible. I have never been one to worry about convertible top care, and I have had quite a few drop tops, but after spending $1800 on a new top I figured I had better start. I actually noticed a difference in the flexibility of the vinyl material for the better. Happy I found this product and will recommend it to others. ProsGives it a very nice "New" look to the vinyl top. After acquiring a hearse that was no longer in service, I was determined to find the best product available to restore the look and luster of all that white vinyl. I was already familiar with 303 Protectant but did not know there was a companion cleaner. Found the kit at Autogeek and bought two kits (there is a lot of vinyl roof on a hearse). After a few hours of easy work, the white vinyl top looks as good as new again. By the way, this vehicle is 18 years old and spent it's last few months outside by a railroad track. 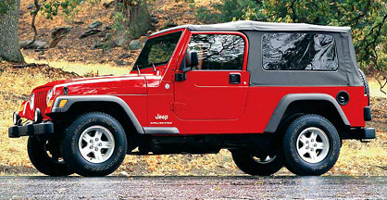 The 303 Vinyl Convertible Top kit works beautifully to restore and protect vinyl. ProsThis product works as promised. Cleans and restores luster on old vinyl. Easy to use, just follow the directions and give yourself the time to do it right and you will be rewarded. Easy to use, seems to be doing what it is suppose to do [clean and protect the top ]. Good customer service from auto geek.